Chemical Tolling & Manufacturing Package Service | SNP, Inc.
SNP provides chemical tolling services to clients who have their own ingredients and processes but do not have a facility capable of meeting their chemical processing demands, or are over capacity and need assistance. SNP’s production facility is able to produce a variety of liquid and dry polymers, alginates, and various chemical products. With full service manufacturing, packaging, and warehousing, SNP is ready to serve you. At SNP, our equipment was designed and specially fabricated to meet the diverse needs that specialized processes require. From start to finish, SNP can assist you in scaling your project from bench top to large commercial quantities. Our process engineers are available to support our tolling customers with product improvement and optimization. SNP has a wide range of stainless steel reactors and mix tanks that can accommodate many different liquid chemical processes. 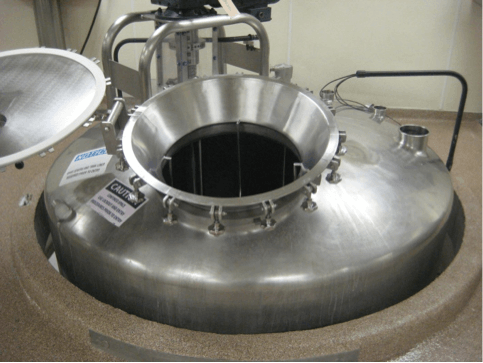 We offer dry blending services with large capacity stainless steel blenders and processors for blending, spraying and drying. We can create custom labeling and custom documentation for your products including Certificates of Analysis, MSDS, and product brochures. Additionally, we can provide warehousing and ship your product anywhere it needs to go, foreign or domestic.